In addition to the usual wealth of art exhibitions and musical concerts, this week Rangoon will play host to a mixed martial arts title fight and a fashion week. Mixed martial arts competition, ONE Championship, is back in Rangoon this week with ethnic Kachin fighter Aung La Nsang, dubbed the “Burmese Python,” taking on Poland’s Michal Pasternak. Call 01-549297 for tickets. When: Friday, October 7. 7pm. A musical extravaganza in memory of Burma’s celebrated late vocalist Hlwan Moe will be held at the National Theater. Tickets from 10,000 to 40,000 kyats. When: Saturday, October 8. From 6pm. 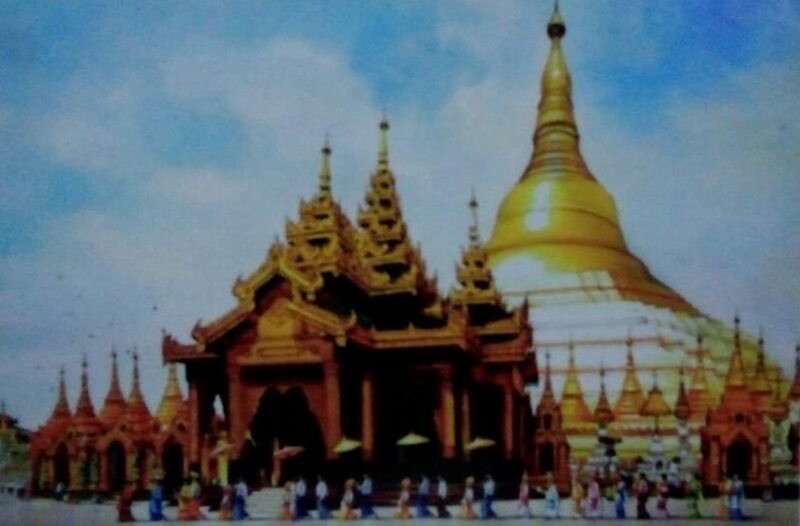 Household and office furniture will fill the Tatmadaw Exhibition Hall for the Yangon International Lifestyle Furniture Fair. Apart from picking up a few pieces for your home or workplace, there are a number of lucky draw competitions to keep you entertained. Where: Tatmadaw Exhibition Hall, U Wisara Road. When: Saturday, October 8 to Sunday, October 9. 10am to 9pm. Put on your glad rags and see and be “scene” as Rangoon’s premier fashion show brings the latest fashion trends from around the world together with enthralling live entertainment. By the way, it’s free. When: Friday, October 7 to Sunday, October 9. 6pm to 9pm. Feeling over worked and under paid? Those of you looking for new employment should grasp this opportunity to meet trading and telecommunications companies with over 100 positions on offer. 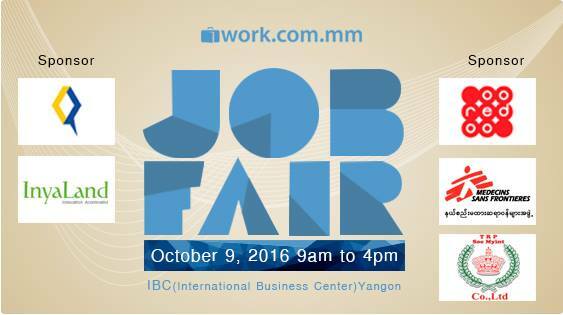 Where: International Business Center (IBC), 88 Pyay Rd, Hlaing Tsp. When: Sunday, October 9. 9pm to 4pm. 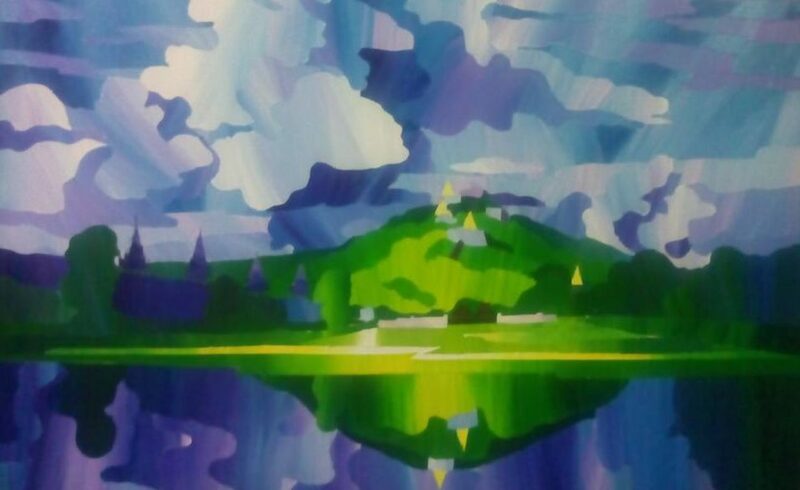 Local artist Than Htay’s solo exhibition will showcase around 20 paintings depicting the spectacular scenery of Chin State. When: Saturday, October 8 to Monday, October 17. 9am to 5pm. 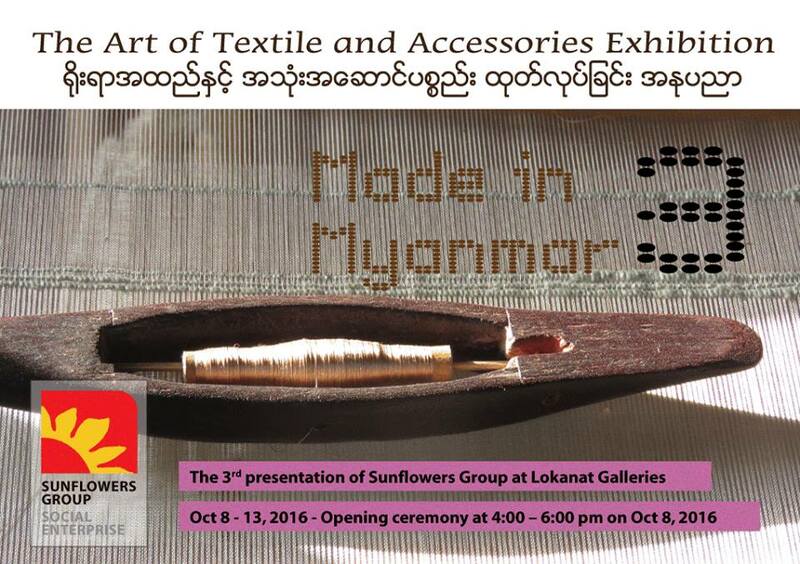 Lokanat will present an exhibition of the art, textiles, costumes, and accessories of Burma’s different ethnic groups. Where: Lokanat Galleries, No.62, First Floor, Pansodan Street, Kyauktada Tsp. When: Saturday, October 8 to Wednesday, October 19. 9am to 5pm. This group art exhibition of 18 artists will showcase around 100 watercolor, acrylic and oil paintings depicting Burmese culture and the country’s ethnic mix. A group art exhibition at New Treasure Art Gallery will showcase over 200 paintings. There’s no rush as the exhibition is on for three months. When: Saturday, October 8 until January 2017.